At the time of writing there are 61 heroes available to be unlocked in the game. These can be divided into Light and Dark side heroes. To unlock characters you need to collect (or purchase) the corresponding number of shards. 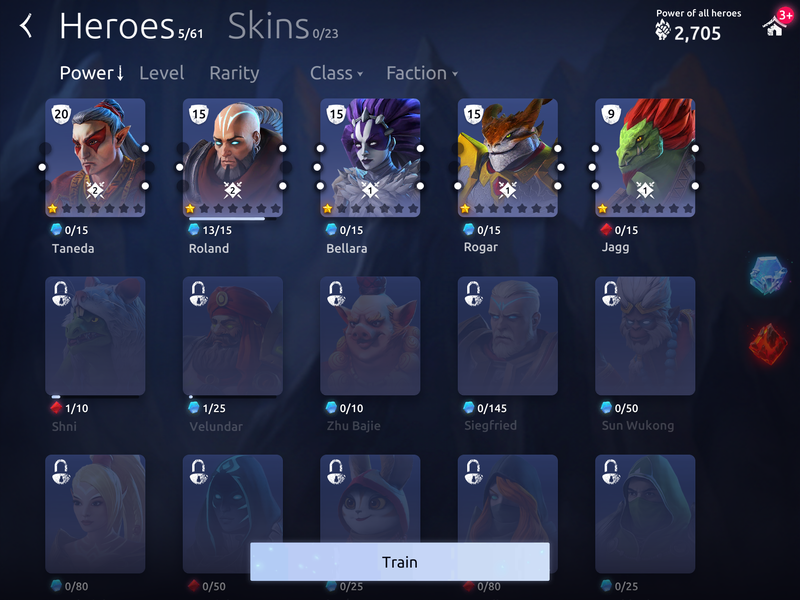 An easy way to consider which are the best heroes are taking a look at how many shards are needed to unlock a character. If it just requires 10 shards, you could consider this a common hero, while he could be relatively easy to unlock he would not have the power potential of a hero that required 145 shards to unlock. However, just because a character is unlocked easily, it does not mean he won't be the best hero for you. It's likely, especially in the early stage of the game that these common heroes will be the ones that you need to upgrade to get you through the beginning stages of the game in order to go on and unlock some of the rarer heroes. What is more important that knowing the best hero though I think is constructing your best team. Constructing a well balanced team is essential if you want to progress. The team should have good synergy and balance. For example you don't want a team of five healers or five tanks. Other being dependent on the mission at the time and which heroes you have available. Once you have your ideal team together, you should concentrate on leveling up them relatively evenly, you don't really want any weak points especially if you are looking to 3 star every mission. If you find yourself unable to complete a mission with 3 stars then consider using some memory spheres to replay some levels and get the loot to upgrade your heroes. Then try to work out which of your team members need leveling up. Maybe it is the one that is dying all the time, or maybe it is one of your stronger heroes that with just a little more power will smash your enemy before they have much of a chance to get their full attacks in.